In case you haven’t followed Racketboy very long, the Pushed The Limits series (see our NES, TG16, and Genesis installments) takes a look at the games that truly made the most of a console’s hardware. Over the years, I have been fascinated by the history of the various machines that have battled for our living rooms. Each machine has had its strengths and weaknesses, and as a programmer, I’m amazed by some of the ways developers have harnessed the power of consoles and pushed them to their limits resulting is some marvelous games. I usually try to emphasize that gameplay is more important that graphical quality. However, with this series, I thought it would be interesting to take a look at games that were the most demanding when it came to a console’s limited system resources. In the 8-bit and 16-bit eras, Nintendo was notorious for dragging out the life-cycles of their consoles, which gave developers plenty of time to perfect their programming and graphical techniques to make the most of the hardware. We had no shortage of games to add to this list — it was actually quite a process of narrowing it down. I’m sure there will be some that the community will mention that may have been overlooked, but I think you’ll find that we covered a lot of ground here. Enjoy! 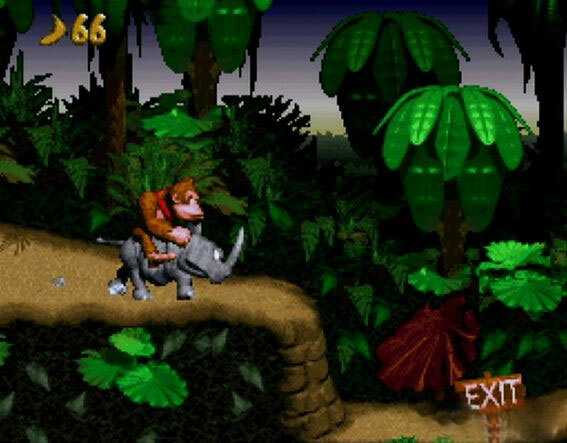 With CD-based consoles already providing growing competition and powerful next-generation machines from Sega and Sony on the horizon, Nintendo released Donkey Kong Country in time for Christmas of 1994. Developed by Rare, the game featured pre-rendered CGI graphics that stood out from anything else offered on consoles at the time. Rare’s development teams employed cutting edge SGI hardware to render all their graphical work in quality, ray-traced 3D. They ported those pre-rendered 3D stills to the SNES as 2D sprites and background tiles and created a game that was not only beautiful but beautifully animated. By working in 3D they were able to make sure all the animations were fluid and consistent and the SNES’s color palette was utilized excellently to keep that 3D sheen. It was convincing enough that many a fan has been fooled into thinking the SNES really could to SGI-quality 3D in real-time. Rare took significant financial risks in purchasing the expensive SGI equipment used to render the graphics. They also developed their arcade and SNES fighter, Killer Instinct, around the same time using the same graphical process. Donkey Kong Country also is supposedly the first SNES game to use the scanline trick to push the max on screen colors from 256 to 4096. This rare Super Famicom title is probably one of the finest examples of a game that will make you wonder if you’re looking at a Sega Saturn or Playstation shooter instead of something running on Nintendo’s 16-bit machine. The brainchild of Turrican creator, Manfred Trenz, R2 was in development for over two years and transitioned from being a standard horizontal Shmup to the game we see today (a combination of Run-N-Gun and Shmup levels). Of course numerous tweaks were made to the graphics along the way and it shows. In addition to the massive sprites, drop-dead, stunning explosions, transparent foregrounds, and backgrounds crammed full of parallax effects, there are many situations that would typically make the SNES sweat bullets. In R2, you can have large amounts of sprites flying around the screen without even a hint of slowdown. If you are drawn in by massive bosses you’ll find an abundance of them here. The boss at the end of level 6 is more than two screens tall. I’m not kidding. Even with their large size the bosses are all interesting, detailed, and serve well as motivation to reach the end of each level. 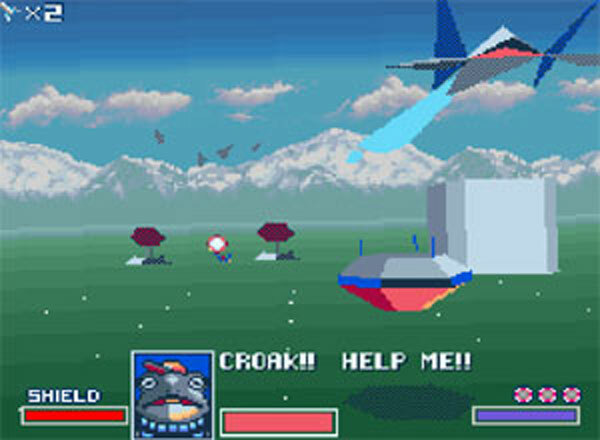 To accomplish this feat Star Fox used the Super FX chip — a custom-made co-processor that was co-developed by Nintendo and Star Fox developer Argonaut. The chip was embedded in the cart and was used in only a few Super NES games. The polygons were simple and flat-shaded but did the job without much slowdown. The Super FX chip did the heavy 3D lifting and freed up the system resources inside the SNES to do other tasks and made for one very fast, great-looking, and great-playing 3D shooter to boot. However, these and other such customized co-processor carts were very expensive to produce and it was not long before Nintendo began other, cheaper avenues of assault on Sega. 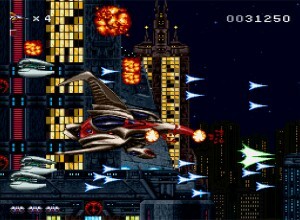 The game itself is far less revolutionary, being an on-rails shooter in which the player takes control of a ship equipped with a single- and double-shot laser and a screen-clearing bomb. But the varied settings – from planetary surface assaults to runs through asteroid belts and tight tunnels – helped Star Fox play as good as it looked. In some ways this off-shoot of traditional Mario platformers was one of the most advanced Super Nintendo games ever released. Consider this: most gamers would agree that Yoshi’s Island looks better today than almost any other title in the Super NES library. That has a lot to do with the art direction – Yoshi’s Island is essentially Super Mario World channeled through a surreal coloring-book prism. The hand-drawn look stands the test of time, as other more modern games like the Legend of Zelda: the Wind Waker and Okami have shown. But a lot of Yoshi’s Island’s success also has a lot to do with the graphical effects coaxed out of the hardware by Shigeru Miyamoto and his team: absolutely massive bosses that nearly filled the whole screen, all while fully animated and Mode 7 effects that don’t look like 8-bit graphics shoved up right next to your eyeballs (check out the crow-on-the-moon boss battle). 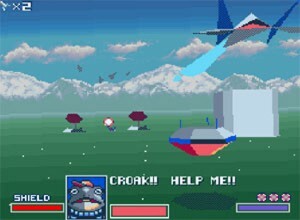 Nintendo used the add-on Super FX 2 chip (successor to the original Super FX chip used in Star Fox) to create polygon-based obstacles that rotate seemingly in three dimensions. Slick transparency effects, smooth sprite scaling, and plenty of parallax are just icing on the cake. Obviously the power of the new Super FX2 hardware gave Nintendo the opportunity to display all sorts of great visual effects that had never been seen before. In fact, when compared with 32-bit games being released for Sony’s Playstation, Yoshi’s Island may have left some people scratching their heads wondering what advantages a CD-based console had over 16-bit cartridges. The entire game is also filled with small details and little enhancements that really push it over the top. Yoshi’s Island’s children’s book-like style is very colorful, with sketchy, hand drawn looking effects that pop up and warp in real-time. Yoshi, Baby Mario, and all of Koopa’s minions are animated beautifully. Yoshi’s Island was indeed a labor of love for Miyamoto and his team and it is one of the greatest masterpieces of the Super Nintendo library. 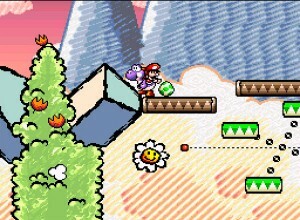 The Super Nintendo was famous for the scaling and rotating background effects made possible by Mode 7. The effect was used to create pseudo-3D environments by quickly and smoothly rotating a large texture map background around player-controlled sprites. 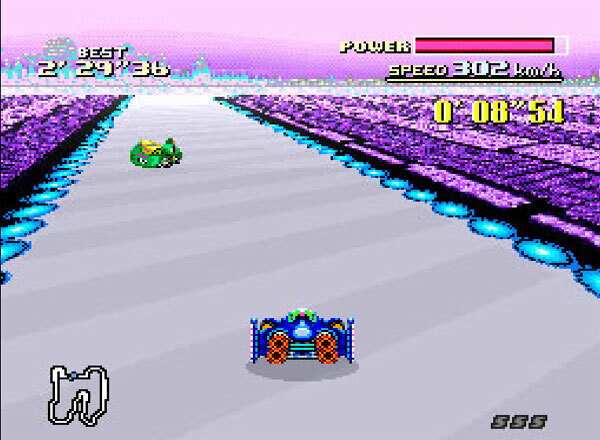 High-velocity racer F-Zero was based entirely on Mode 7 and was a launch title for the Super Famicom and Super NES. 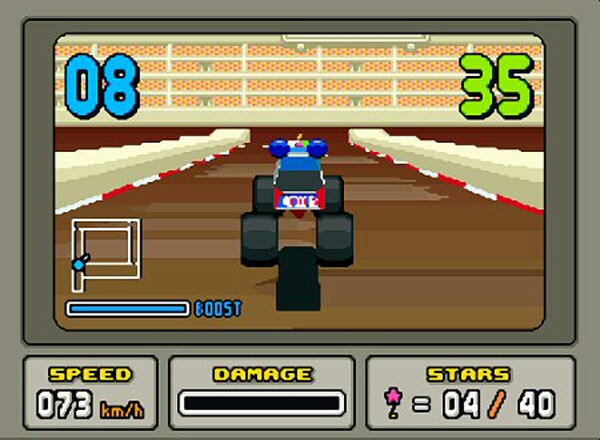 As you’ll see below, Super Mario Kart was another great Mode 7-based racer, but despite being a launch title F-Zero moves considerably faster and can be played in full-screen mode. 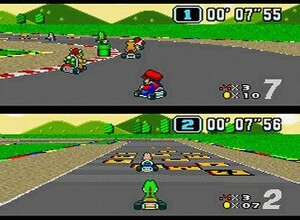 Mario Kart is always displayed in split screen, even in a single-player game. As far as racers and graphics go F-Zero is a great example of early life-cycle titles that took full advantage of what the Super NES could do. Even though F-Zero was an impressive technical feat and blazing fast considering it was an early SNES game, Super Mario Kart remains the quintessential Mode 7 game for many Nintendo fans. Graphically, it expanded upon F-Zero’s formula by adding scaled spites as obstacles (such as pipes and Thwomps) and more detail to the track surfaces. This might not sound like a big deal but when you learn about the limitations of Mode 7 you start to appreciate the extra work that went into implementing these extra elements. Mode 7 can only work on backgrounds as opposed to sprites. Because of this, each “size” of an approaching opponent or obstacle sprite has to be pre-drawn, resulting in a rather choppy transition between a limited number of sizes when the player approaches them. Because of all these extra elements putting a heavier load on Mode 7 processing, some may claim that Super Mario Kart actually pushed the SNES hardware more than F-Zero did. However, we have to remember that Super Mario Kart also used a DSP chip to enhance the Mode 7 graphics, a chip F-Zero did not use (and then there’s the whole full-screen vs. split-screen issue). Regardless of their strengths and weaknesses, both Super Mario Kart and F-Zero are showcases for the flexibility of SNES Mode 7 graphics. Axelay is a Shmup made by Konami that alternates between 3rd person, pseudo-3D Mode 7 stages and horizontal side-scrolling stages. The “3D” stages in Axelay have a gorgeous horizon effect, giving them a nice feeling of depth. 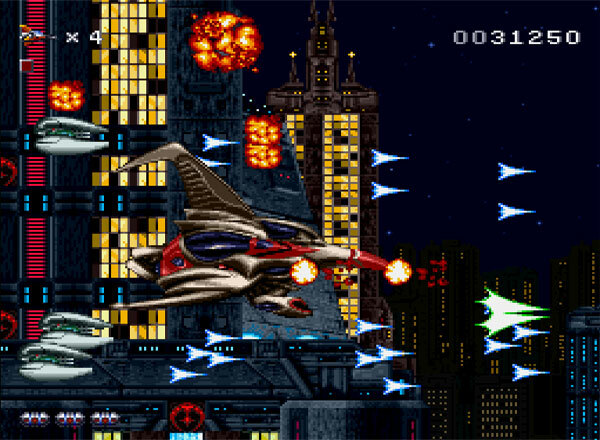 The 2D stages feature large sprites and lots of action with little slowdown, putting slowdown-fests like Gradius III and Super R-Type to shame (not that those aren’t good games). Like any great shmup Axelay has some large, crazy, memorable bosses, not the least of which is a huge, flaming ogre surrounded by moving lava who waves his multi-segmented arms at your ship while spitting reams of fireballs. The SNES wasn’t exactly known for Shmups, but of the ones that did appear on the console Axelay stands out for its memorable settings, rockin’ sound track, and Mode 7 enhanced graphics. It’s tough not to mention a bunch of SquareSoft games in any conversation about the Super NES. While Secret of Mana certainly had beautifully detailed graphics and made better use of Mode 7 tech with its world map flight sequences than most Square games (they all had them), Secret of Mana is mentioned on this list chiefly for its soundtrack. While the Super NES sound chip was better than anything found in other cart-based game machines of the time, few games used it as effectively as Secret of Mana. Composed by Hiroki Kikuta Mana’s soundtrack goes beyond simply having the memorable melodies which, up to that time, was how many defined a “good” game soundtrack. Square and Kikuta managed to emulate the sounds of all sorts of instruments with stunning accuracy. Rich and resonant chimes, piano lines and organ chords, woodwind instruments, lush synthesizers and percussion instruments such as snare drums just seem to leap out of the soundtrack of this game. The percussion parts are especially interesting as some of the songs in the game are heavily rhythmic, such as the chilling “Ceremony” and the pounding “Oracle.” Prog rock influences abound, with songs like “One of Them Is Hope” and “Meridian Dance” featuring intricate bass lines and frenetic melodies. Overall the music in Secret of Mana was stunning for its time, even for the more-than-able Super NES sound hardware. On a side note Kikuta’s left-field remix of the OST, titled “Secret of Mana +,” is one of the more well-known soundtrack remixes in gaming history, which speaks volumes about the source material some 15 years after its release. 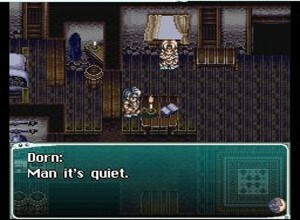 Even though most of the world did get some amazing RPGs on the SNES, Japan still kept some of the greats to themselves. 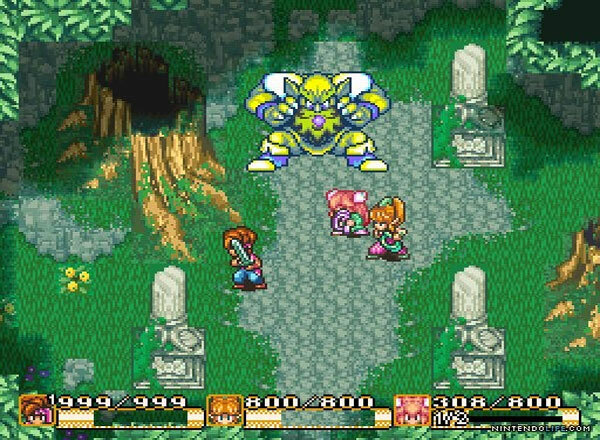 Between the fact that RPG fans adored the original Secret of Mana and the fact that the game looks spectacular, it’s no surprise that there are many SNES owners who are bitter that we were promised the game but given Secret of Evermore instead. Right off the bat Seiken Densetu 3’s opening sequence provides a great example of how the SNES’ Mode 7 sprite rotation technology works. It really was a suitable precursor to some of the cutscenes we would see in SquareSoft’s Playstation RPGs. Much like the Secret of Mana Seiken Densetsu 3 used Mode 7 techniques with the overworld map that will make your jaw drop. Many of the other little touches that made Secret of Mana special apply here as well. Spell effect and special attacks are still great but not too over-the-top. 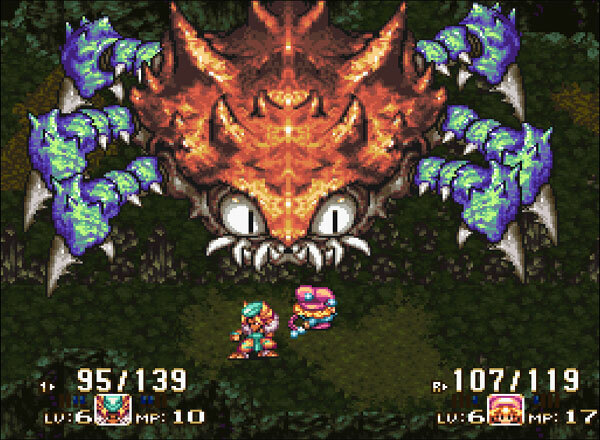 Special effects aside Seiken Densetsu 3 has some of the most stunning sprite work and backgrounds on the Super Famicom. First of all everything is fluidly animated and has a beautiful hand-drawn appearance — this is another one of those games that could easily pass for a Saturn or Playstation game. 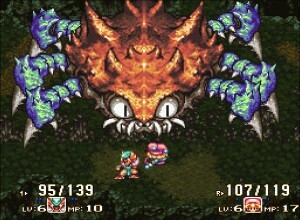 The bosses often fill the screen and use multiple sprites that are animated independently to appear as one large and dynamic entity. It is really a sight to behold on the Super Famicom. 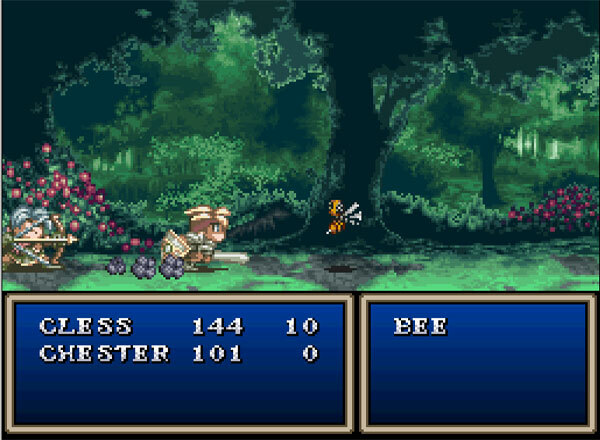 Seiken Densetsu 3 also uses the Super Famicom’s rarely-utilized high-resolution mode for character selection and information screens, allowing detailed character portraits and all their vital stats to share screen space and be clear, clean, and readable. Though the Mega Man X series overall wasn’t necessarily a big hardware-pusher, there is at least one element in MMX2 and MMX3 in particular that’s worth noting. It’s the Cx4 chip, a custom chip created by Capcom for adding enhanced visual effects. It’s similar to Nintendo’s much hyped Super FX chip, except the Cx4 didn’t add anything quite as dramatic as the fully 3D environments seen in Star Fox. Instead, it added a little “spice” to the visual mix. In X2 and X3 the Cx4 chip helped create enhanced transparency and 3D wireframe objects. 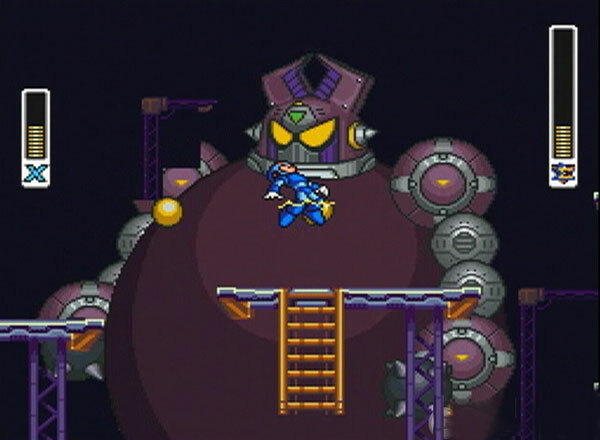 The best example of the latter effect is the final boss battle with Sigma’s floating robot head in X2. The same floating head returns at the end of X3, though in a mostly cinematic way. 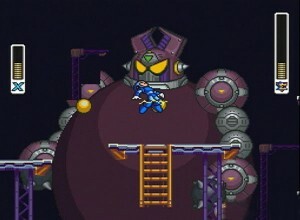 X3 also boasted a vibrant color palette, smooth animation and some massive bosses. If you want to really know how much this game squeezed out the SNES hardware, consider this: the game was also released on the Playstation and Saturn in 1996, six months after its SNES debut. There was little difference in the game itself, though cut scenes and CD-quality music and sound were added – along with long load times. A purist could argue that the SNES version was superior to its 32-bit counterparts. This 1994 racing title was the only other game to truly make full use of the Super FX chip. 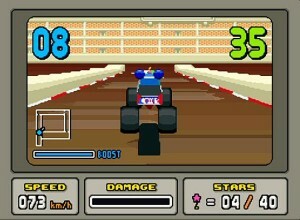 The arcade-flavored game features a variety of vehicles, including a motorcycle and a semi truck, for the player to control. The tracks include paved courses, dirt tracks, icy tracks and even one with an underwater glass tunnel. It plays smoothly despite a very low frames-per-second count. Compared to Star Fox and Yoshi’s Island, it was rather disappointing. And graphically it actually paled in comparison even to Sega’s stripped-down Genesis port of Virtua Racing, released the same year. Perhaps it was a bit much to expect a full 3D racing game out of the Super FX chip, but at least Nintendo gave fans a taste of things to come. 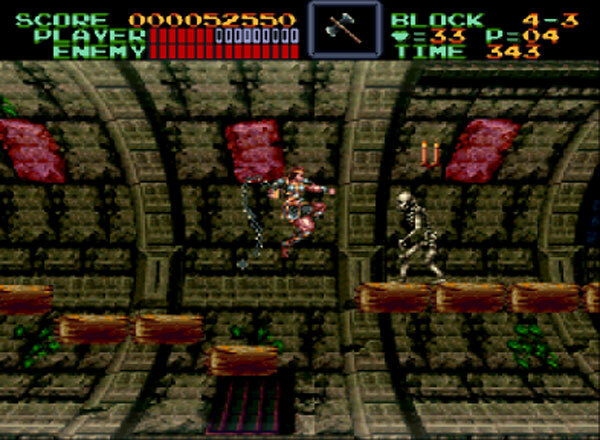 The three NES Castlevania games all seemed to push Nintendo’s first gray box in terms of both graphics and sound, so it’s probably no surprise that the fourth installment would do the same on Big N’s 16-bit machine. While some (but only some) of Super Castlevania 4’s graphics don’t hold up as well today as some other SNES titles, the soundtrack was stellar. From the haunting organ melody in the opening level to the sparse, jazzy music in the library stage, Castlevania scores with a soundtrack that set a new bar – especially for being one of the first big releases on the hardware. There are some nice graphical touches as well, like the transparent and color-shifting Ectoplasms in the Entrance Hall and when whole rooms rotate around Simon as he hangs from a fixture on his whip. For rotating environments the programmers at Konami got creative to work around Mode 7’s limitations. Since you can only use Mode 7 on backgrounds and not sprites, they made sprites for the foreground elements like platforms (which would typically be part of the background) and actually had the rest of background rotate. In the case of the boss, Koranot was actually part of the background instead of an actual sprite so it could be scaled and rotated. Overall Super Castlevania 4 was a leading system-pusher at the time of its release, even if it isn’t quite as impressive as some of the later Super NES titles. 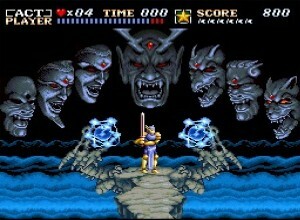 Actraiser was one of the first wave Super Nintendo games and was up against the likes of Super Castlevania IV. The year they were both released the Nintendo Power best music award went to Super Castlevania IV. That was quite a shame. It’s not that CV4 didn’t have great music. In fact, if the competition hadn’t been so stiff the award would have been deserved. The problem was that Actraiser was also on the market, and Actraiser should have taken the title. Actraiser is a hybrid genre game in which you unlock map areas in a side-scrolling action level and then manage the expanding world overhead-sim style, ala Populous or Sim City only with monsters. In addition to the compelling hybrid gameplay the graphics were pretty good for the time, too, though nothing other SNES games hadn’t already done. What really made Actraiser stand out was the impressive soundtrack by Yuzo Koshiro, of Streets of Rage and Revenge of Shinobi fame. Not only are his compositions for the game incredibly beautiful and appropriate to the scenery, they pushed the SNES sound chip to the limit. Square’s Uematsu is often credited with orchestral soundtracks composed for the SNES APU (Audio Processing Unit). Uematsu has nothing on Koshiro. Some of Koshiro’s pieces feel busy and bombastic. Others are slow and pensive. Others still are peaceful and serene. Whether stark with simple instrumentation or busy with overlapping instruments and themes, this is the closest the SNES APU has ever sounded to an orchestra performing in-game, in style if not always in sample quality. The combination of Koshiro’s composing skills and his technical mastery of the SNES APU is truly a masterpiece and pushed the still young SNES to its first-generation limit. 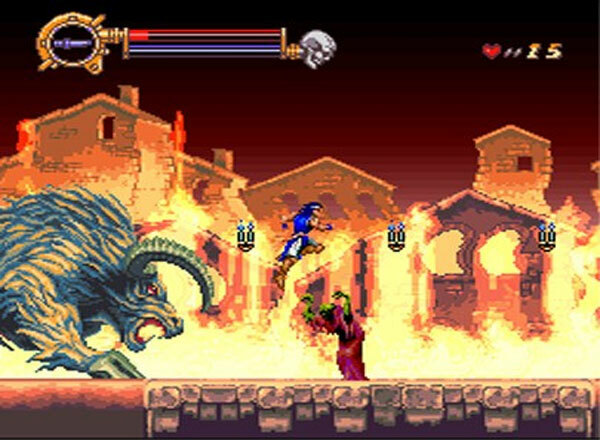 If you’ve ever played Dracula X on the SNES you may think, gameplay-wise, that it’s a step back from Super Castlevania IV. The gameplay is more of a direct evolution from the original game than advancement on CV4. You may have noticed that the graphics are pretty darn colorful, the animation is quite good, and the levels are, well, a bit uninspired. And while you may not have had your socks rocked by the game itself, I bet you were sure jamming to the soundtrack, and you should well have been. Purists knock this game because it is, in many ways, something of a cheap knock-off of the PC-Engine Super CD game that inspired it (and is available on PSP currently in original and 3D remade form). But the SNES version does have one major ace in its corner. Never has the SNES come so close to accurately representing a CD soundtrack. 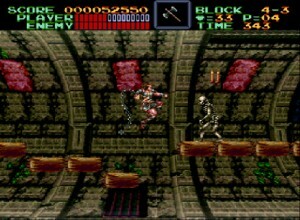 The PC Engine version had a rock and synth-inspired neo-gothic CD soundtrack. The SNES programmers didn’t let the absence of a CD drive get in the way and tried their damndest to cram in the next best thing, a chip-based near copy of the CD soundtrack. Being released later in the life of the SNES meant the Konami programmers had the latest sound tools at their disposal, and boy did they make the best of them. Powered by its custom overworld engine (which was first used in the original Amiga version of Drakkhen), Drakkhen II did an excellent job of simulating three-dimensional depth without a Super FX chip or Mode 7 technology (instead using sprite scaling and rudimentary rendering.). 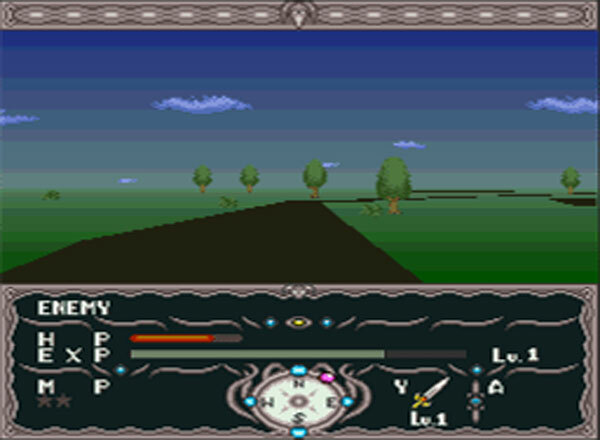 Because just a bit more than half of the screen was used by the main game navigation display, it was able to run smoothly on stock SNES hardware. (The top and bottom panels are completely static during overworld navigation). It is worth mentioning that framerates have a tendancy to suffer where there are a lot of sprites on the screen at once..
Graphically speaking this game is very advanced for the system hosting it it is on. Unlike the characters of most Squaresoft RPGs of the era, Mario has a higher level of mobility and animation. You are able to move freely around in circles, jump in different directions, etc. The character sprites for Super Mario RPG were created on SGI workstations, much like those used in Donkey Kong Country, and the game used Mode 7 to express a 3D-like environment. The addition of some fancy light and shadow effects make some game elements, like stairs and pillars, appear to be real-time 3D. Nintendo and Squaresoft also used a number of Mode 7 tricks throughout the game to keep the things from feeling just like every other RPG on the market. One of the best examples is the rail cars Mario gets to ride in the Moleville mines. Of course not all of this was possible with the stock SNES hardware. 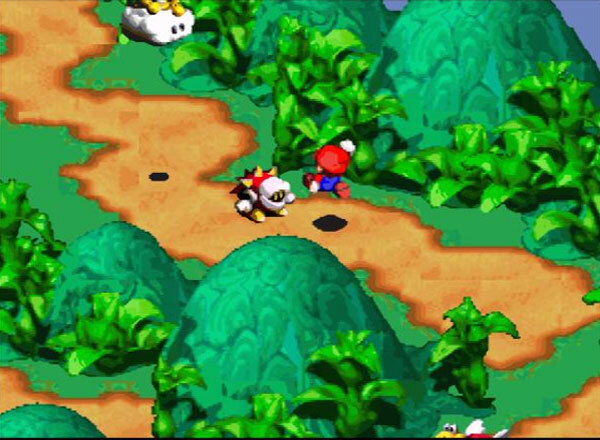 Super Mario RPG was one of the few SNES games released outside of Japan that made use of Nintendo’s SA-1 chip. This little chip allows the game to squeeze more processing, memory capabilities, and data storage and compression, among other things, out of the SNES. Since SMRPG is a SquareSoft RPG, you can expect top-notch audio as well. Super Mario RPG made use of Sony’s SPC700 chip to provide primitive echo/reverb effects and features 210 sound effects. Since we’re seen this landmark series so much over the years, it might not seem like that flashy or demanding of a title, but Capcom worked hard to bring as much of the arcade classic to the SNES as possible. 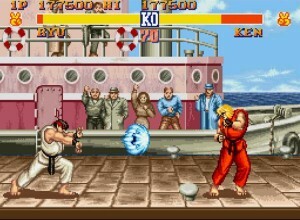 There were three ports of Street Fighter II on the Super NES. Nintendo’s console was graced by the first-ever home conversion of the game in 1992, about a year after the original swept through arcades and kicked off the fighting game craze. To say the home port was anticipated would be an understatement, and this game was probably the most important port of an arcade game since Space Invaders turned around the fortunes of the Atari 2600. What gamers got with the Super NES version of SFII was a game that was by and large an accurate representation of a high-powered arcade title. 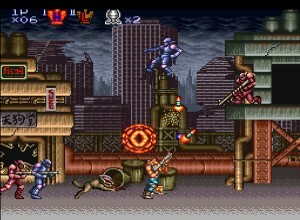 Though some frames of animation and some other minor aesthetic details were cut, the important details – the size of the character sprites, the little animations occurring in the background of each stage, the sound effects, the music, every special move and all four bosses – made it into the 16-megabit cartridge. For many gamers, the excitement of seeing the intro and the character select screen on their TV at home was pretty amazing. While a console port based on SFII: Championship Edition went to the Sega Genesis/Mega Drive, the next iteration, SFII Turbo: Hyper Fighting, came to the SNES (actually both ports had “hyper” speed modes in some form). Once again the game was pretty nearly in tact compared to the arcade version. 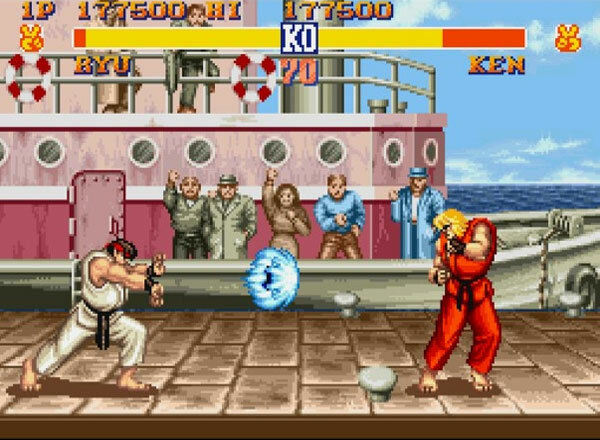 About a year later, Super Street Fighter II arrived, featuring all of the newly-tweaked stage backgrounds from the coin-op, and of course the four new characters. At 32 megs, it was the largest Super NES game ever at that time (if the bullet points on the box are to be believed) and it was arguably one of the best ports of the 16-bit era. As if it wasn’t nice enough having a few flavors of Street Fighter 2 looking good on the SNES, Capcom’s true Street Fighter successor also made a later appearance on the Super Nintendo (a lot of SNES owners probably aren’t even aware of it.) The fact that this game is even running on a SNES at all is pretty amazing (and odd considering the first game in the spin-off series wasn’t ported to the system). Yes, there are plenty of frames of animation missing, the sound quality took a hit, and there are miniature bouts of load times sprinkled into the start-up sequences before each match – but the game remains quite playable. At the very least it’s not nearly as “gimped” as some other ports of lesser arcade games on the SNES. Released in 1996, it was one of the purple-and-grey box’s swan songs. The original “Tales” game was a whopping 48 megs and featured streamed audio voices, made possible by sound programmer Hiroya Hatsushiba. This sound engine was titled the “Flexible Voice Driver,” and overcame the Super Famicom’s small audio memory capacity by swapping short vocal samples on the fly. Tales of Phantasia is also known for one of the few Mode-7 graphical techniques that doesn’t involve pre-drawing or the use of external chips. Instead, the game handles re-rendering of sprites on the fly purely through its own software. This technique is used when a player sprite stretches vertically when stepping onto a save spot. Another 48 meg JRPG, Star Ocean was the only other game to use the S-DD1 chip to aid in compression of almost all sprite graphics and map data. The “Flexible Voice Driver” from Tales of Phantasia was also used to overcome the 64kb limit of the SPC700 chip by swapping bits of vocal samples and even featured surround sound. 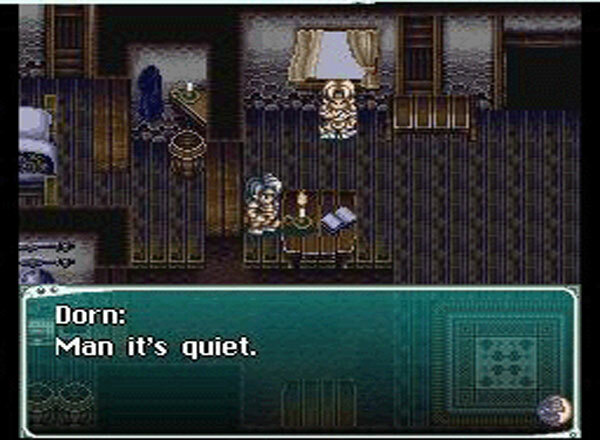 Star Ocean also took a page from Tales of Phantasia as it also did its Mode-7 processing via software. 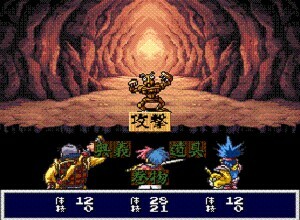 Star Ocean used Mode 7 to animate items popping out of an open treasure chest. Due to the extra tiles needed for such rendering and the other high system demands throughout those games, such rendering was limited to those few scenes. 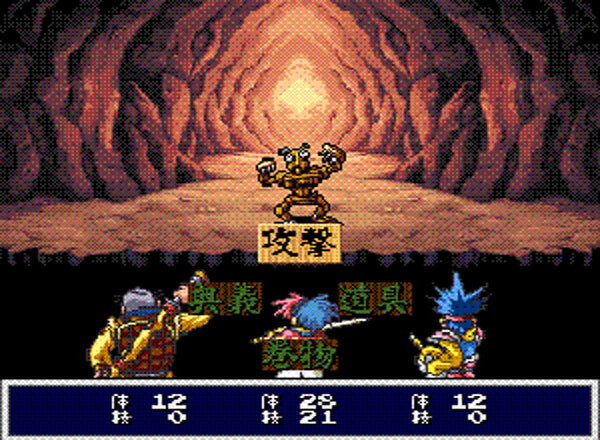 Tengai Makyou Zero (known better as Far East of Eden in the West) is one of the those RPGs that is part of a long-running series in Japan but never really made it out of its native country. It also began as a PC Engine CD series, so bringing it to the Super Famicom was not without its challenges. There aren’t too many series that have a remarkable CD-to-cartridge transition, but Tengai Makyo Zero is a rare exception to the trend. Most of this was made possible with the supplemental SPC7110 chip which allowed the Super Famicom to decompress all the extra graphics and audio data jam-packed into the cartridge. This little chip helped this Super Famicom game shine in the graphics department (the spell animations are particularly impressive) and produce a soundtrack that was notable for its varied sound textures. It also stands up well to its PC Engine CD predecessors in terms of sound and music. In addition to the great graphics and audio technology, Far East of Eden also has a built-in battery to keep track of the date and time to have an Animal Crossing-like real-time experience. Contra games seemed to push any piece of hardware they appeared on in the 1980s and early ’90s, and this game was no different. This is yet another example of developers getting the most out of the Super NES early on, though some may disagree that Contra 3 really “pushed” the console. But I think that makes it seem all the more impressive. Remember seeing that bomber fly from the background into the foreground in the first stage? Remember hitting the top-down stages with a friend and seeing both halves of the screen seamlessly spinning independently of each other? Toss in a screaming-fast motorcycle, er, hovercycle, ride and an area where you hang from missiles while blasting stuff and you have one fine example of what the Super NES is capable of doing. Sprite “rotations,” similarly, have to be handled through pre-drawing, unless done with the Super FX 2 chip as with Yoshi’s Island. A notable workaround does exist and can be seen in the second boss battle in Contra 3 and the battles against Morton, Ludwig, Roy, and Bowser in Super Mario World. 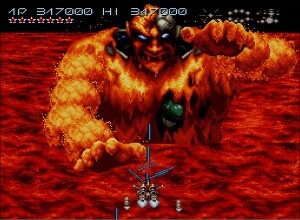 In these examples the boss is a “background” and therefore rotates through Mode 7, and the scoreboard, which is “above” the field of play, is also a background. The floor’s cracks, however, are, like the players and gunfire, “sprites,” which are redrawn under various rotations as the player rotates. It should be noted, however, that this only allows one virtual background-“sprite” to be manipulated at a time. 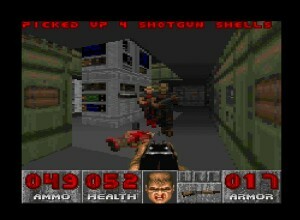 The classic FPS was ported to nearly every post-16-bit piece of hardware under the sun and even the SNES got in on the action. Cutting edge PC tech came to the Super NES nearly two years after the PC release, and though it was significantly gimped in terms of some textures and animation, it was still had some elements to be proud of. The cartridge features a Super FX 2 chip — the same one that power Yoshi’s Island. This addition definitely let the SNES port pull off some things that the more powerful Sega 32X and Atari Jaguar could not. First of all it features almost every level from the PC version, which is quite impressive considering its running off a relatively limited 16-megabit cartridge format. Some of the maps used in the Super Nintendo port are actually more intricate and detailed than other early console ports. Much like with Street Fighter Alpha 2 you probably won’t choose the Super Nintendo as your primary DOOM machine, you can’t help but be impressed that it runs as well as it does on the hardware. Out of this World / Another World – Though inferior to the Amiga and Atari ST originals, the port of this cinematic and atmospheric space adventure was something of a revelation to console gamers used to squat sprites and emotions conveyed through text boxes and sweat beads. The flat-shaded polygonal programming set in two dimensions signaled a meeting point between traditional console conventions and what was to come later in the 1990s. Kirby’s Dreamland 3 – Kirby games always make such wonderful use of color. In this case Dreamland 3 used a mode of Nintendo’s “pseudo high-resolution” which does color blending between two adjacent pixels to give sprites the illusion of having more colors than there really were. The Kirby cart also takes advantage of the SA-1 chip to boost processing for the larger number of bitmaps and special effects. Super R-Type & Gradius III – Two killer horizontal shooters for the Super NES that were known for killer slowdown, presumably because the hardware was being “pushed” to its limit. With better programming these games might not have suffered from such a flaw, but hey, they were released in the first year of the hardware’s life. Cybernator/Assault Suits Valken – This mech shooter is filled with destructive details and smooth animation. It’s so surprising that this is actually a SNES game, I would say it actually rivals, at least in some ways, its Saturn sequel, Assualt Suit Leynos 2. Killer Instinct – As mentioned above it used the same graphical technique as DKC and brought it to the 2D fighter genre. While many Nintendo fans adored the game it unfortunately wasn’t quite as nice as the arcade version. Super Metroid – You can’t help but be wowed by the atmospheric effects and the graphical tricks like when the entire level starts tipping in the first few minutes of the game and when Ridley swoops by when you go into the final room of the scene. However, other than those tricks and the sheer size of the game, it isn’t a full-blown SNES-pusher. Jikkyō Oshaberi Parodius – The fourth game in the classic shmup franchise was released on the Super Famicom in Japan and used the SA-1 chip to help out with its rather advanced graphics. It most impressive technical achievement is the fully scalable 3D polygons that show up in one of the stages. If it’s any indication of the quality of this game, it was was later ported to both the Saturn and Playstation. Super Turrican – Graphically it’s enjoyable and features enough Mode 7 effects to remind you just what the SNES is capable of. However, it wasn’t quite as polished as games like Contra 3. One of the more impressive things about Super Turrican at the time of its released was support for Dolby Surround Sound. Jurassic Park actually beat it to the punch by about a month but it was one of the first console games to support it. Kirby Super Star (Fun Pack) – This is another SNES Kirby game that made use of the SA-1 chip for extra processing power. Super Star had a lot to offer in terms of variety and extremely colorful graphics, so it needed all the extra help it could get. 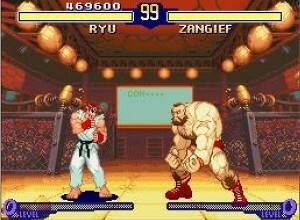 Art of Fighting 2 – This Japan-only Neo-Geo port was the only other console version to duplicate the “screen zooming in-and-out” feature of the Neo-Geo original. Pilotwings – Much like F-Zero Pilotwings was an early demo of the SNES’s Mode 7 capabilities. It used rotation and scaling effects on flat images to create an artificial 3D effect. Considering its 1994 vintage, it’s all quite impressive, but developers improved their techniques later on. NCAA Basketball & Stanley Cup – They were both a giant step forward in the sports genre at the time. Alien 3 – It had some very nice dynamic lighting effects, gritty environment, and some very slick motion capture, something not many games of that era could pull off. Plus there are times there are large number of sprites on the screen with out a hint of slowdown. Chrono Trigger – Definitely a top-notch RPG and had some great graphics overall. However, from a technical standpoint, this classic really did get out-done by Tengai Makyo Zero, Seiken Densetsu 3, Tales of Phantasia, and Star Ocean. 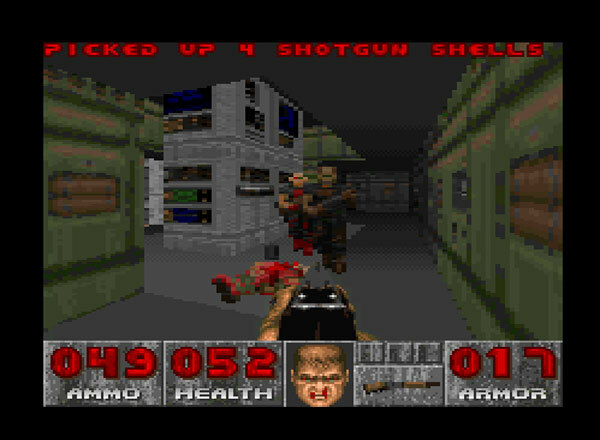 Wolfenstein 3D – not nearly as impressive as its successor, DOOM, but it is still cool to see this classic running on a stock SNES cart. Road Runner: Death Valley Rally – It came out during the time Sega was doing their “Blast Processing” ad campaign which was ironic because roadrunner ran faster than anything sega was offering with some very massive levels. Terranigma – huge sprites, and a large cart too. Great article! but how about mentioning the companies (producers) that created the games under the release date? Aww, no Space Megaforce (Super Aleste) for being a shmup with large and numerous sprites and parallax with no slowdown at all? It showed what Gradius III and R-Type should have run like. Great article, it still impresses me what some gifted dev’s could squeeze from the snes. Great article! I’ve only tried a few of these games and I’d really like to try more of them. P.S. Just wanted to let you know in the “Dragon View / Drakkhen II / Super Drakkhen” section you have a typo on because as “Becasuse”, not a big error, just wanted to let you know. Fixed the type — thanks for the feedback, everyone! What about Fire Emblem’s 3, 4, and 5? They used the most memory on a snes cart thus far (24 bit cartridges). Great article, and i agree with hobie-wan, Super Aleste is a great shooter visually speaking and probably the only one that gave me the feeling of playing an arcade shooter in the snes. I also agree with racketboy with Axelay being the most impressive graphically but Aleste has a better Visual/Gameplay ratio IMO. Great article. I love how old school programmers tried many things to get the most out of consoles instead of just using raw power like they do now. Well, although I don’t much care for the abuse of the words “Mode-7” (It’s a single background layer mode that can be rotated and scaled, nothing more), I must say I agree with the choices. I think you should add Super Aleste (one of the few shooters on the system with little slowdown, made great use of the poor processor), and Gundam Endless Duel, which looked like a 32bit fighter. Oh and Super Turrican 2, much more graphically impressive than the first, and also has barely any slowdown with a ton of enemies onscreen. Wow, very good article, I had no idea what sweet tech was behind the achievements of the 16-bit era. Out of This World used Vector Graphics not Polygons…though we all thought it did at the time. The awesome Freeware PC game Iji uses vector graphics to the same effect…. Star ocean didnt so much push the limits as it did go over them. due to the way the game was programmed, the graphics would sometimes glitch, music would sometimes play incorrectly, or not at all, and even crashes a fair amount. Tales of phantasia was nowhere near as bad with this. Assault Suits Leynos 2 isn’t the sequel to cybernator (Assault Suits Valken). It’s the sequel to Assault Suits Leynos on the megadrive. Nice to see Doom and SFA2 SNES ports get some appreciation and love for what they were, and not to be compared to superior system’s ports. However, I respectfully disagree with Realm even being in the honorable mention category. Yes, the graphics weren’t bad for a late SNES game, however, nothing about it “blows me away” in the least. If it pushed anything, it wasn’t the limits of the SNES, it was the limits of the gameplayer’s sanity. Shame the gameplay was so broken. It could have been a brilliant sleeper hit, otherwise. How about Winter Gold? It’s the best looking 3D game on the SNES I think. Check out “Winter Gold (SNES) Downhill and Luge Gameplay ” on youtube for a quick idea. Some impressive games in that list, nice one! Can’t believe i’d never heard of R2, considering it was Manfred Trenz. I’m missing ActRaiser 2 on the list. Great visuals, vibrant colors, various uses of mode7, excellent music (composition AND technical). No mention of Uniracers? That game looked really good, and moved at blistering speeds. And the guitars sounded really realistic. SNES was the best console ever! Zelda’s a link to the past is missing too! The best games in my opinion are the street fighter games! I’m pretty sure there is a 2 player co-op mode for secret of mana as well. There was a 2 player for secret of mana, and i thought even 3 player. Worth pointing out that although the soundtrack for SoM was good, it didn’t work properly. It was layered, and if you were using the sword and attacking, the treble (from memory), went off until the sound you were making was done. Very frustrating, it was one of the many problems with the scaling back of the game after it was created for the Nintendo Playstation console. There’s a few more games that use 2-player co-op. Secret of Mana (and SD3) use the multi-tap to allow up to 3 players co-op, and a bunch of sports games (notably NBA Jam) used the tap for up to 5 (maybe 6, not sure) people to play together simultaneously, co-op and against. Another co-op game that I just happen to have a nostalgic sweet-spot for is Goof Troop. Can’t tell you how many nights my friend and I stayed up to beat that together. Great article, as always. I dont own any of 4th gen (or older) consoles, they can be easily emulated on Xbox and played on CRT TV but SNES is the only one I am considering buying it (with Flash Cart).